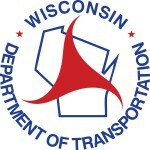 The Wisconsin Department of Transportation (WisDOT) Interstate 794 Daniel Hoan Bridge and Lake Freeway Reconstruction and Repainting in Milwaukee has earned a regional award for “Best Use of Innovation” by the American Association of State Highway and Transportation Officials (AASHTO). This nonprofit, nonpartisan association represents highway and transportation departments in the 50 states, the District of Columbia, and Puerto Rico. The regional award comes as part of the 2016 America’s Transportation Awards competition created by AASHTO in 2008 with the support of the American Automobile Association (AAA) and the U.S. Chamber of Commerce. The goal of the awards is to highlight projects that deliver value on transportation investment. WisDOT’s Hoan Bridge project was one of a total of 84 projects from 40 states entered in the competition. With the regional award, this project will be considered for a national “Top Ten” competition to be announced next month. Work on the Hoan Bridge concluded in December 2015, on time and under budget. The project team was recognized for thorough, proactive communication with businesses, residents, and commuters using in-person meetings, a project website, email, Facebook, Twitter, and television updates. In particular, the team coordinated closely with Summerfest, the Port of Milwaukee and the Milwaukee Metropolitan Sewage District (MMSD) to minimize disruptions and maximize safety. Additionally, weekly meetings were held with stakeholders in transit and public safety as well as businesses and Summerfest planners. The project incorporated several technical and material innovations designed to reduce traffic impacts and complete the work as quickly as possible. Movable Concrete Barrier—Use of moveable concrete barriers enabled the contractor to maintain two peak direction lanes during peak periods, improving safety and minimizing delays. Stainless Steel Reinforcement—Used for the first time on this scale in Wisconsin, this material provides better corrosion resistance and protection from moisture and deicing chemicals. Light Detection and Ranging (LiDAR)—Used to collect and process bridge component data, this technology application minimized traffic disruption and defined the scope of needed repairs, saving time and money. Comprehensive Painting Specification—A product of research and contractor workshops, it provided greater detail and direction to minimize potential of premature failure. 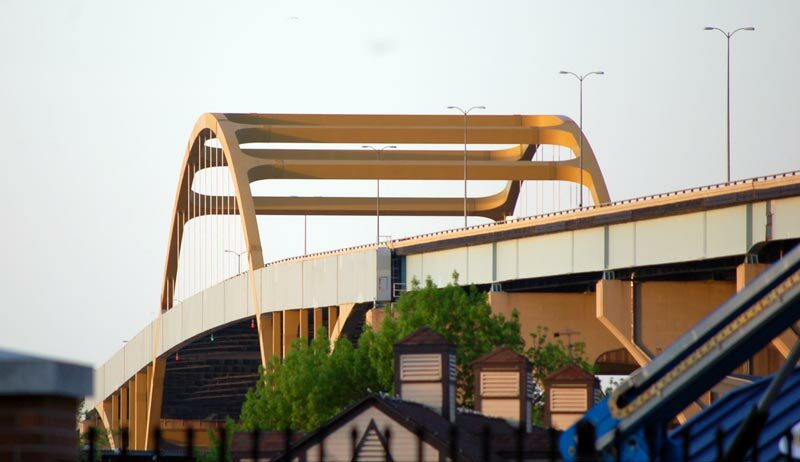 The two-mile-long Daniel Hoan Bridge was constructed in the mid-1970s and carries up to 42,000 vehicles every day. It’s an iconic component of the city’s skyline and a critical transportation link for those visiting Summerfest, the historic 3rd Ward and many other landmarks. The Hoan Bridge and I-794 project reconstruction and repainting project will promote safe and efficient movement of freight, commerce, transit, and commuters for years to come. Lol wut?! If the Hoan Bridge project is an award winner for its efficiency and innovation that really says something about how low a bar transportation officials set for themselves.